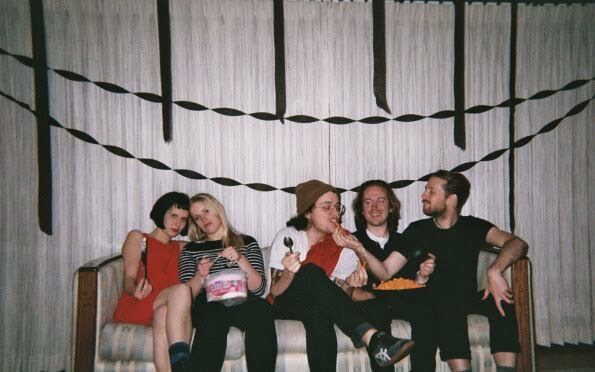 Continuing Seattle’s great tradition of punching above its musical weight class is Great Grandpa, fresh off the release of new LP Plastic Cough, on Double Double Whammy. The juddering intro of “Teen Challenge” sets up a full-bodied chorus establishing the template for what’s to come. Simple, elemental stuff from the quintet that specializes in juxtapositions, from the unhinged “NO” to the ultra-catchy “Fade,” into the epic “All Things Must Behave.” “Expert Eraser” dials things back up, and the heart-rending “Faithful” turns things back upside down. It’s both canny and relentless, capped off by the anthemic closer “28 Js L8r.” We are particularly anxious to see how this glorious mess translates live, and prime upcoming opportunities are: 7/18 at Bottom Of The Hill in San Francisco, 7/20 at Hi Hat in Los Angeles, and 7/21 at the Soda Bar in San Diego.